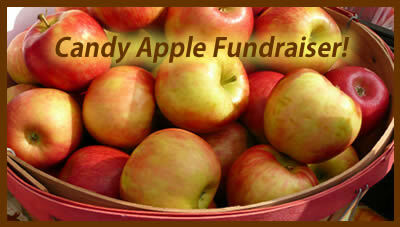 How about a candy apple fundraiser? Why are my candy apples turning brown? I've made a number of batches of candy apples in the past month or two. Recently, the apples seem to be turning brown?? Anyone know why that might be? It's odd. They appear brown and the candy is coming off in patches, like dissolving or whatever. I've been doing this as a fundraiser for sporting activities for my family. Do the candy apples belong in the fridge or would it be too rock hard to eat after? My daughter is enjoying making them. I guess my first question would be what kind of candy apples are you making? Toffee apples or caramel apples? Both are quite yummy! The way you worded your post makes me think that your first several batches of candy apples turned out fine but it's just these last batches that you are having trouble with. Is that correct? Are you using the same type of apple that you were using before? Have you changed anything about the way you are making them as far as your process is concerned? My first thought when you said that the candy apples were turning brown (and I'm assuming that you are talking about the whole apple and the skin is browning, not a cut apple), was to wonder if you were cleaning the apples in very hot water before dipping them. It IS good to give the apples a good clean in warm water to help remove the wax that is on the surface of most apples, but if the water is too hot it can cause the apples to turn brown. I also wondered about the weather. Has it changed since you started? I ask about that because you mentioned that the candy is sliding off. It may be that there is more humidity in the air and it is causing the candy not to set properly. You may need to raise the temperature when cooking slightly to accommodate humidity if that is a concern. Those are my best guesses. Let's see if anyone else has any tips or suggestions for you about candy apples turning brown. Hope your fundraiser is a success!